An epic tale of wizardly love, war, and intrigue steeped in a mystical age of magic. After narrowly escaping the massacre of those he loves, Christopher is forced to grow up with estranged relatives in a realm controlled by evil. The tyrant lord’s soldiers quickly crush acts of rebellion. Life seems hopeless. Until the arrival of a mysterious stranger changes everything. The knowledge that magic once ran through his veins sets Christopher on an epic journey to seek out a wizard from his past and rediscover his powers. With his grandfather by his side, Christopher soon realises it’s not just his own future he’s fighting for. Can he escape the evil clutches of the sorceress, save the woman he loves, and change the lives of everyone in the realm forever? 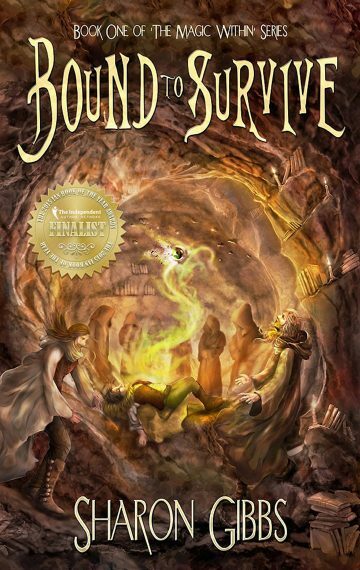 Bound to Survive is the first book in The Magic Within series. It is an epic coming of age story of sword and sorcery, wizardly love, war, and intrigue steeped in a mystical age of magic. Pick up your copy of Bound to Survive and start your journey into The Magic Within series Today!